Game play has all kinds of interesting applications to real life. It's one reason why I love to play games, especially those that involve strategy over just straight out skill: it makes me think about and test strategies. One reader reminded me (thank you) after my Attachment Rate article that Canon and Nikon are in a strange form of prisoners' dilemma. The original version of that game is simple: if you and your cohort rat each other out to the cops you both serve 2 years in prison; if you both remain silent, you both serve 1 year in prison; if one of you turns in the other but the other remains silent, the silent one gets 3 years in prison and the other remains free. Canon and Nikon both pick existing mount: Nothing really changes if the cameras are relatively equal (my assumption throughout this is that a Canon C7 is basically equivalent to a Nikon D7 is basically equivalent to a Sony A7III). Relative ILC market shares stay the same as the DSLR duopoly slide over to mirrorless. Some might say Nikon "loses" in this scenario, as they wouldn't make inroads against Canon, which is clearly something they'd like to do. But it's not really a loss. It's the status quo maintained between those two if they both move in the same fairly short time period. If there's a loser in that scenario, it would be Sony, because a user choosing Sony from scratch basically requires buying all new lens sets, while the huge base of Canikon DSLR owners shifting to mirrorless won't have to. Result prediction: Canon, Nikon, and Sony in that order of ILC market share. Canon and Nikon both pick new mount: Nothing probably changes in the Canon/Nikon market share relationship, but this empowers Sony, who is already there with a large line of lenses that Canikon couldn't duplicate day one. Result prediction: Sony, Canon, then Nikon. Canon picks existing mount, Nikon picks new mount: This is a nightmare scenario for Nikon. Canon users can pick and choose between mirrorless and DSLR and use their lenses on both. Nikon users that want to try mirrorless have to start a new lens collection or use awkward adapters. And again, Sony is already there with a full set of lenses, so it's Nikon that's a clear loser in this scenario. Result prediction: Canon, Sony, then Nikon. Canon picks new mount, Nikon picks existing mount: This is a problem for Canon, as it means that they have to count on adapters to appease their current user base. Result prediction: Nikon, Sony and Canon, with those latter two probably duking it out for second. Of course, this is an advanced and complicated Prisoners' Dilemma: Canon and Nikon could both choose to opt for both courses: they could make both an existing mount and a new mount mirrorless system! I'm not even sure how to score that scenario, as the number of combinations and permutations rise considerably, and it's unlikely that they'd do so with equal cameras. But one thing is pretty clear from the above: Nikon has to choose to use the existing F-mount for full frame or they strongly risk losing the number two ILC market share. Canon has slightly more flexibility, both due to their larger established base, but also because their EF lenses have demonstrably worked well on adapters; the same isn't true of F-mount Nikkors because of all the small variations that are in the legacy base coupled with things like where the connectors are. Of course, the notion of creating a new mount still has its desires: it means you can take everything you learned that you did wrong in the past and fix it once and for all with the proper dimensions and attributes in the new mount. Ah, the Sirens call of tech: start from scratch and all will be well in the end. Many a shipwreck has occurred listening to that call. Of course, other shipwrecks have occurred by not listening to it (Kodak being a prime example). 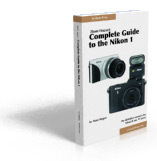 Teams of folk at both Canon and Nikon are certainly aware of the above. They've already spent long days analyzing how the choices may or may not pay off for them. If for some reason they've decided to pick a suboptimal choice in the basic prisoners' dilemma problem they face, that also means that there are teams already dedicated to trying to spackle over that problem with marketing and technology messaging. So hang on to your horses, mirrorless world. We're about to see the big rodeo players trying to ride the bull.